For travelers Trat is mainly a stopover on the way to Koh Chang, Koh Kut/Koh Kood and Koh Mak, or to Cambodia. Arriving in the evening, there was not much going on. Almost everything was closed, but my friend was here last weekend, and knew a nice place in a back alley that was open. 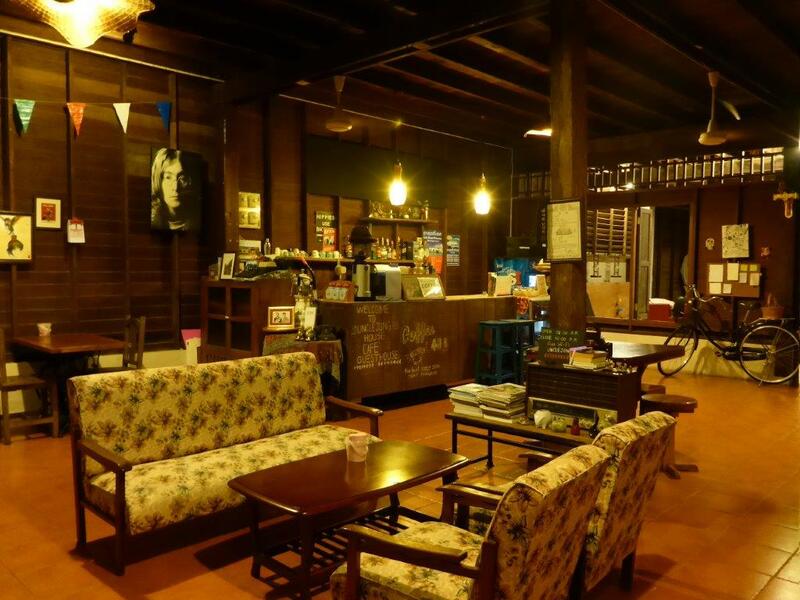 Uncle Jong is both a hostel and restaurant with reasonable prices. As we had already checked in at Chivapuri Residence we did not stay there, but it is absolute worth checking out. Especially if you are just passing by and need a place to eat and sleep. 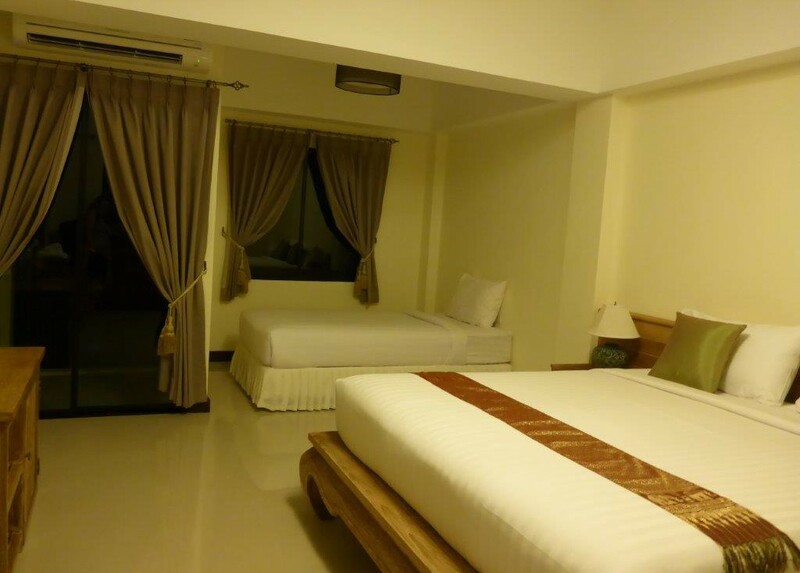 Food range from 40-70 Baht, and a double room is 350. The food was tasty and the staff very friendly. Our room at Chivapuri Residence. To be honest, we assumed that the boat to Koh Kut/Koh Kood would leave in the morning, but sadly, we were wrong. 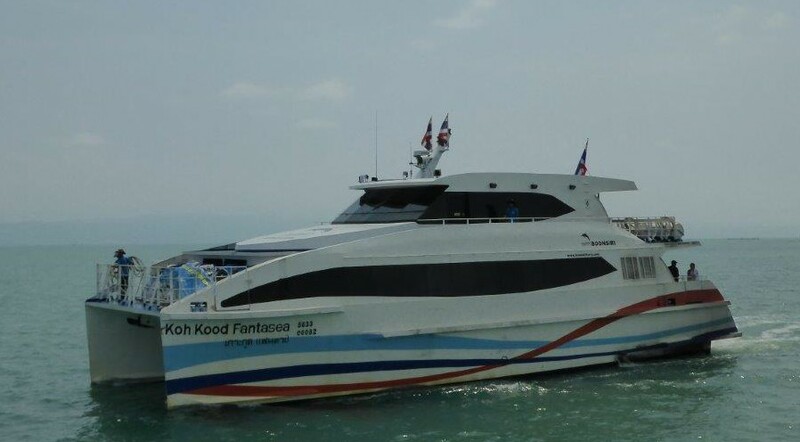 Both Ko Kut Express and Koh Kood Princess depart at 12.30, but luckily we were told about the new company Boonsiri Catamaran leaving earlier. Some said it left at 9.00, others 10.00. Where we bought the ticket they said 10.30, but when we actually got to the meeting point for departure, the sign said 10.45. To be fair, the companies offer pick up in Trat included in the ticket, so they might have given us the pick-up times, but still. Just make sure to double check. Boonsiri Catamaran leave from Leam Sok, so make sure you get to the right spot. As my friend has her own car, we drove ourselves, and were a bit off course before we found it. We had actually driven passed it, but as the parking was not by the water, we kept looking. Parking is charged 50 Baht per day. To be absolutely sure to get on the boat, we had bought the tickets from our hotel. However, you can also buy them directly at the ticket office/waiting area where we parked the car. From there we were transported to the pier. Everything worked nice and smooth, after we figured out the departure time, that is. The journey pier to pier from Trat to Koh Kood/Kut took 90 minutes. Arriving on the island, we were transported for free to Dusita Resort, where we had booked our accommodation. Boonsiri Catamaran between Trat and Koh Kood/Koh Kut. Package tours are also offered directly from Bangkok to Koh Kood/Kut, so the later departures are perfectly timed for that. Please note that these were the facts in April 2015, so double check the web sites added above for updated details. Pingback: The easy life at Koh Kood | Life is a journey!